Snagit 2018.2.2 – Screen capture utility. 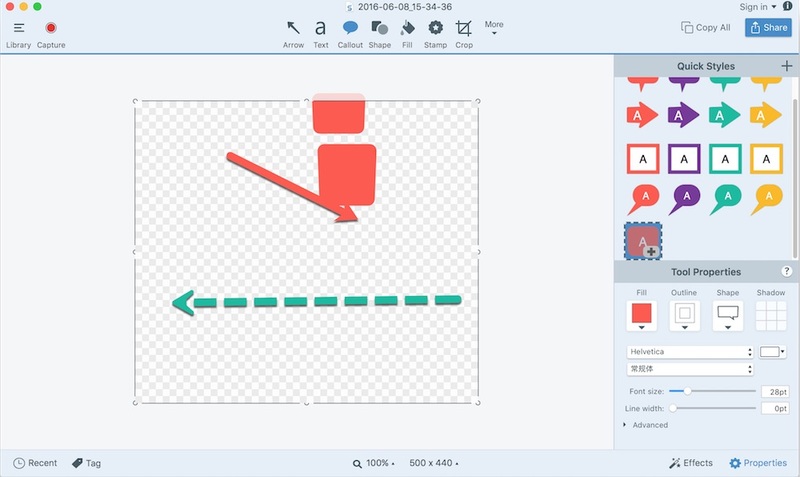 Snagit lets you create an image of what you see on your computer monitor. Flexible options that let you capture only what you want. Annotation varieties like arrows, speech bubbles, and more make it easy to customize your capture. Versatility in what you do with your capture. Send it to your favorite app, share it online, or save it for later. Next story Tower 3.1.2 – Version control with Git made easy. Previous story Keep It 1.4.7 – Store notes, web links, and documents in one place. WebSnapperPro 2.2.4 – Capture entire Web pages as single images or PDFs. Movavi Screen Capture Studio 10.0 – Record and edit screen capture to make screencasts. Screenium 3.2.3 – Advanced screen-capture utility.